Windows uses software called a driver to communicate with the hardware or devices that your system uses. Simply put, the driver translates the message so that the operating system will understand how to handle what it’s receiving. Your audio will also require a driver and you might find that you need to update it. Perhaps the manufacturer has released a new version, you’ve progressed to a later version of Windows or you’re having general audio issues How to Troubleshoot Video & Audio Playback Issues on Your Windows PC How to Troubleshoot Video & Audio Playback Issues on Your Windows PC No video, no sound, how frustrating! Luckily your problem is likely to be a common Windows issue that we can help you troubleshoot right here, right now. Read More . This guide will offer different methods on how to update your audio drivers in Windows 7 and 8 How To Get Novel Windows 10 Features On Windows 7 Or 8.1 How To Get Novel Windows 10 Features On Windows 7 Or 8.1 It's time to upgrade your Windows experience. Short of installing a new operating system, you can get awesome features with third party applications. Windows 10 is not that novel after all. Read More . Please be sure to head into the comments section afterwards to share your experiences of troubles with audio drivers and how you went about updating them. One method of updating your audio drivers is to use Windows Update Fix Windows Update & Make It Less Annoying Without Compromising Security Fix Windows Update & Make It Less Annoying Without Compromising Security Windows Update can be a nuisance. Here is how you can protect yourself from its annoyances without compromising security. Read More . Though you might think only updates from Microsoft come through this, they actually work with a huge host of third-party companies in order to distribute drivers through it too. It’s Microsoft’s aim that their customers shouldn’t have to hunt around for the drivers they need, with Windows Update being the catch-all solution to that problem. As such, if Microsoft have managed that, then you should be able to get your audio drivers through Windows Update, though bear in mind that won’t always be the case. To check whether they’re available, do a system search for windows update, and select Check for updates. This will check for important and optional updates that are available and then allow you to select which you want to install. 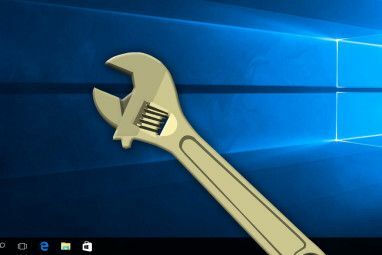 If you want this to be automatic, select Change settings and you will be able to specify that you want Windows to check for and install updates automatically. You can narrow this down to how often it installs them and at what time. This should be enabled by default, so unless you’ve changed it in the past then it’ll already be updating automatically. Depending on how you purchased your system, you might have a disc that contains software from the manufacturer or it might be installed into the motherboard. Some Dell systems Dell XPS 13 2015 Review and Giveaway Dell XPS 13 2015 Review and Giveaway The XPS represents the pinnacle of laptop design in 2015, and it's the best bang for your buck out of any laptop we've ever seen in the $800 price range. Read More , for example, will come with a disc that has every single driver you need for your system on it. If it’s from the sound card manufacturer, you can pop the disc in your drive, run the necessary software, and then it should install the drivers from there. Although this is an acceptable solution, it’s not really the best one. You might find you have to install an audio application that you don’t need, but worst of all you could end up installing an out-of-date driver, depending on when it was last updated. 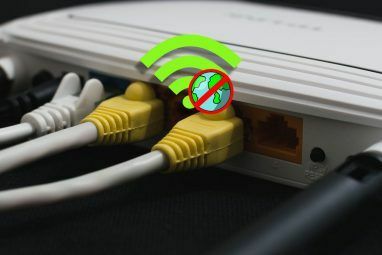 Manufacturer software may connect to the Internet and automatically check for updates, but installing a driver straight from the disc won’t. Another option available is to update the driver manually. Don’t worry, although this requires a few extra steps than those before, this is a really easy process. 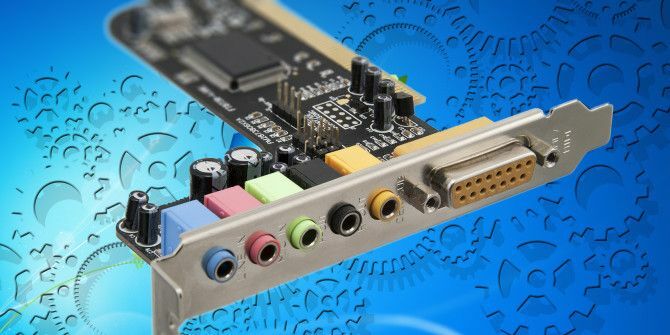 It involves going to the manufacturer’s website, inputting the model name or number of your sound card and then downloading the relevant driver. If you need to find out those details, do a system search for device manager and select Sound, video and game controllers to expand that selection. Here you will be able to find the manufacturer’s name and the details of what you need to update. Key that into a search engine Distracted By Google Search? 4 "Search Engines" You Should Not Ignore Distracted By Google Search? 4 "Search Engines" You Should Not Ignore Google is not the only way to tackle the firehose of information. Internal search engines can be as potent in delivering the results you are hoping for. Here are four as alternative search tools. Read More , head to the manufacturer’s site (or an alternative provider like Download.com) and download the latest driver for your card. Most of the drivers will be executables that self-install when loaded, but if they’re not then head back to the Device Manager, right-click the relevant sound card and select Update Driver Software…. From there, select Browse my computer for driver software, then specify the folder where you downloaded the driver to, and follow the wizard’s instructions to the end. Hopefully one of these methods has helped you update your audio driver and resolve any issues you might have been having. Remember, it’s always good practice to keep your drivers updated – not just for your audio. Audio drivers don’t have to be updated often and usually only things like a change in operating system require it. But if you do encounter audio issues, like having no sound No Sound on Your Computer? Try This When Your Speakers Don't Work No Sound on Your Computer? Try This When Your Speakers Don't Work Sound issues on a Windows PC are the most annoying. Here's how to fix the sound on your computer when your speakers stop working. Read More , it’s always worth making sure you’ve got the most recent driver as the first port of call. Have you had any issues with your audio drivers in the past? How did you go about updating them? How to fix only one side speaker working in windows 7 ?? Hm, interesting article, it's good to see what other users opinions are. But one thing I see a lot of people commenting about how mac's aren't customizable are mostly wrong. I'm a Computer Science student, so my view in this aspect is kind of different. Linux: It's your OS vs you need to know what you are doing and how you are doing it. Windows: It's microsft's OS , you don't need to know how it works, it just works so just use it always with a window to show you stuff. Mac: It's Apple OS, you don't need to know how it works, but if you knew productivity = linux. Listen, Windows can be customized ? Yes, but what many of you see as customize are just download program -> "wow how nice new shortcut"
It's not the fault of people migrating from Windows to Mac to not knowing it, but Mac OS is a Unix OS its base is the same as linux, it just don't seem customizable because normal users won't even know how to use the terminal (prompt in windows but in a whole different level) if you are interested in seem how to do it, search for the Homebrew package manager. If I was going to sell Macs my slogan would be: Be a user, or a developer , or both. Mac are customizable , a lot more than Windows. Search for Homebrew. Also, if you are a windows user, be sure to check the implementation of the bash on it. I recently went through this exercise when I lost all the sound from my computer. I have two speakers and a woofer, a second monitor with speakers and headsets. None would paly back any sound. First, I checked all attachments to insure that everything was properly connected to my desktop. I then checked Playback devices using Sound in Control Panel to insure that they were selected correctly and tested each device. No sound. Now I went to Windows update and installed most of the optional updates that corrected problems since my sound is built into the motherboard. No drivers were listed. I went to HP (desktop mfr.) and downloaded updates that might be pertinent. This updated the 2nd monitor, a HP, and those speakers now work. I went to Microsoft and applied some updates that affected audio. And, finally, everything now works. One piece of advise--if sound fails after the cleaning women has completed her chores, check your connections first. PS Download.com is horrible. But many sites are doing this. I make sure I always do custom install if offered so I can uncheck all those pre-checked installs. Also, I sort my Programs and Features by date so the newest installs are at the top and I check this immediately after an install and uninstall any crapware that sleazed by me on the install. I'll second that on not using Download.com as a safe site to send people to. It used to be a fairly safe site for downloading files in the mid 90's and early aughts, but they've succumbed to all kinds of adware. I'm not sure when it switched over, but when I last checked it a couple years ago it was not the same kind of well managed download site it once was and was. With that said, anyone know of solid downloads site that isn't a spammy adware mess? At this point I generally go straight to the manufacturers websites, but even they often have adware or bloatware bundled in the installers. I urge you to consider never sending anyone to Download.com . Believe it or not, This CBS owned super creepy site is well know for re bundling spyware ,malware into attractive software downloads and much worse for pure greed and distribution profits, it is an intentionally evil site. In August 2011, Download.com introduced an installation manager called CNET TechTracker for delivering many of the software titles from its catalog. This installer was accused of potentially including trojans, and was also accused of containing bloatware, such as toolbars. CNET admits in their download FAQ that "a small number of security publishers have flagged the Installer as adware or a potentially unwanted application". In December 2011, Fyodor of insecure.org published his strong dislike of the installation manager and concerns over the bundled software, causing many people to spread the post on social networks, and a few dozen media reports. The main problem is the confusion between Download.com-offered content and software offered by original authors; the accusations included deception as well as copyright and trademark violation. In 2014, The Register and US-CERT warned that via download.com's "foistware", an "attacker may be able to download and execute arbitrary code". In 2015, research by EMSISOFT suggested that all free download providers bundled their downloads with potentially unwanted software, and that Download.com was by far the worst offender. You can use SlimDrivers. It's Worked wonders for me. I used SlimDrivers,a free driver update program,and found 24 updates available for my Win7 desktop! Easy to use,but be prepared to set aside an hour or so,depending on how many of your drivers need updating.